Welcome to the St. Augustine Confirmation Program! Our Confirmation preparation program runs for two years, Grade 9 & 10, with the celebration of the sacrament taking place in the early fall of junior year. All students, even those attending Catholic High School, who wish to make the sacrament need to register and attend the program for both years. Class, Prayer Nights, Teen Masses and Service are the main components of the program and participation in all are expected. Additionally a retreat and student interview in the second year will complete the Confirmation preparation process. Confirmation is a sacrament of Christian initiation and is necessary for the completion and strengthening of baptismal grace. To aid the spiritual development of the students, prayer nights are offered. These will help them to develop their personal spirituality and to deepen their relationship with God. Monthly Teen Masses allow our young people the ability to participate in the liturgical life of the parish. We encourage them to take on the roles of many of the ministers, including lectoring, music and hospitality. Service allows the students to follow Jesus’ life “I have come to serve not to be served” and as such these experiences should be centered on the Corporal Works of Mercy. Candidates are expected to complete 20 hours of service each year. There will be opportunities within the parish for service through our Youth Ministry but finding appropriate service in the wider community is encouraged. We are introducing a service hours opportunity in the form of “assistant catechist” in the Religious Education program. This allows students who are in the Confirmation program to help in the classroom with an experienced catechist. We are also encouraging students to volunteer in the Hospitality Ministry, especially for Sunday Masses. Please contact Bridget Rao for more information. Every candidate is interviewed prior to receiving the Sacrament of Confirmation. The dates and times for interviews will be posted in January. There are three forms to be completed and returned which will form the basis for the interview. The students will receive copies of the forms in February or may download them below. Students are encouraged to begin work on these forms once they receive them. Bridget Rao joined the Religious Education Department as Director in 2007 having served as Director of Religious Education at St. Theresa’s, North Reading. 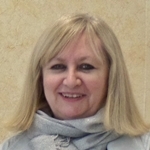 Born and educated in the UK, Bridget spent many years as a research psychologist and health service manager before coming to live in the USA in 1998 with her husband and two children. When not directing the Religious Education program, Bridget is also a member of the bell choir, occasional member of Restless Hearts (the Teen Contemporary ensemble), provides the sanctuary floral displays, and is a regular lector both here and at St. Theresa’s. Contact brao@staugustineparish.org.